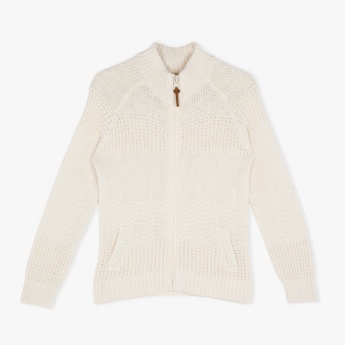 Flaunting a subtle colour, this knitted cardigan would keep your boy comfortable. It features the combination of a zippered front opening and front pockets. The ribbed cuffs and hemline gives it a better fit.